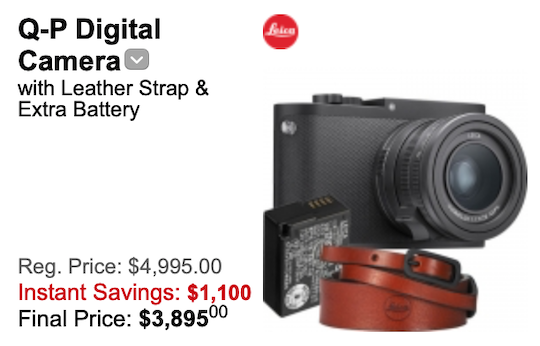 The Leica Q-P camera is now $1,100 off only at B&H (final price: $3,895). This is a limited time offer that will expire soon. The regular price of the Q-P is currently $4,215. For comparison, the price of the new Leica Q2 is $4,995. 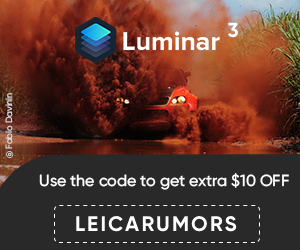 This entry was posted in Deals, Leica Q-P. Bookmark the permalink. Trackbacks are closed, but you can post a comment.